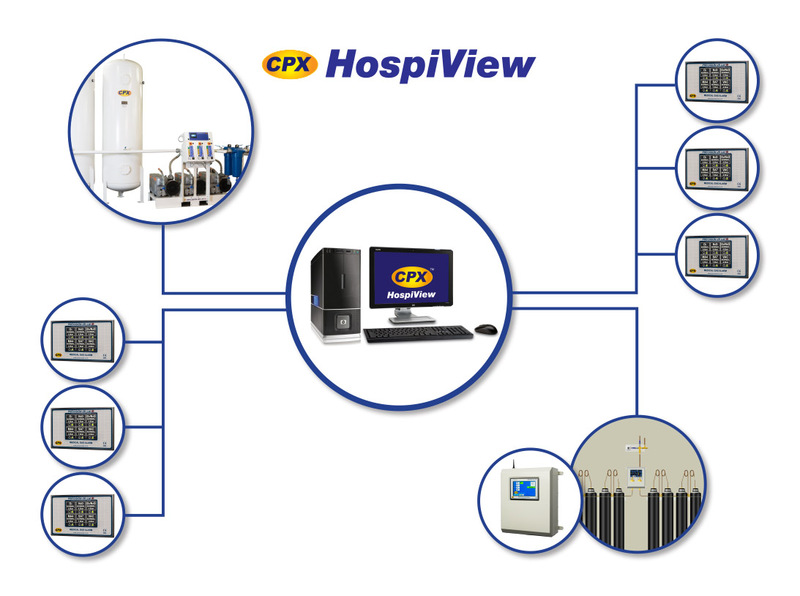 HospiView offers the ultimate in web-based remote monitoring for all CPX alarm systems. All CPX systems are automatically monitored and alarms can be sent directly to critical alarm service contractors, either through our HospiView web interface or through existing BMS infrastructure. This allows facilities managers to respond faster, reducing patient risk and saving clinical staff time. Alerts can be customised and directed to different personnel, via SMS, email, telephone or web notifications.